I have written a detailed blog post about On-page optimization a few days ago, and I hope you must have read that already. In case you haven’t then click here to read that post. On-page optimization is done on the website whereas Off-page optimization is done outside the website. The only thing can be done outside the website is to build backlinks for it in order to optimize it for search engines. Backlinks are like trust. The more and quality backlinks your website will have, the better ranking it will attain in various search engines. Let’s understand the Trust with a real life example. Suppose the country’s President (High Authority Person of a country)knows you and have some links with you, then your value in your society and town will be surely more. Similarly, if you have backlinks from high authority sites, your site will have more value and search engines will love it. That is the reason, you need more trust to perform better in search engines. 1 What is link building? 2 How to build backlinks? Link building is the process of getting link back to your site from some other sites. Remember!! => The way link building was done in the past is completely changed now. Google changed the game by rolling out so many intelligent search algorithms. Those days are gone when just building a lot of backlinks from anywhere helped websites rank well. Nowadays, Quality of backlinks is more important than quantity. The basics of building links are still same but the way of doing has been upgraded. Let’s talk more on this and discuss the strategies that you can apply to build links in the current SEO scenario to climb up in the search pages. There are many link building strategies that you can use to build links for your site. Few are complete spam and not working anymore in the long run and few are the good ones that work in the longer run. Spam link building tactics do work sometimes as well but for shorter term. That means, spam link building can be done for event sites but not for regular websites or blogs. In this blog post, I am mentioning only those link building tactics that are good for long term blogs and websites. No Spam!! If you are into blogging and SEO, you might have heard the blog backlinko.com, where Brian produces killer content with a lot of research. This is the reason; you might find him being mentioned in most of the SEO, blogging blogs. That is why one of the best ways to get quality backlinks is to create the great content. No matter how much time it takes to complete one article, just be sure that you write a masterpiece every single time. Google has de-indexed some of the web directories and still deindexing them which means that the links from the directories do work! Otherwise, why would Google bother about them? If you are building links for a blog, then consider blog directories rather than web directories. Click here to get the list of such blog directories. Note: Don’t use spammed directories because they will do more bad than good. Don’t submit links in bulk. Though Matt Cutts has said that guest posting for SEO is unethical and will be considered as unnatural link building practice, but you can still do some guest posts and get editorial backlinks. Just be sure that the content you provide for the guest post must be a masterpiece which adds more value to the host blog. If you can do this, then getting an editorial link from that article to your blog won’t harm rather do more good to your site. For example, I have recently done a guest post on Tesla Themes’ blog (DA:73 and PR:4) which is a high authority website. I have got quality editorial links from them that undoubtedly a great addition to my blog’s backlink profile. You can see that I got a good backlink from that guest post got very good exposure of getting published on such awesome platform, and now even a video was created with that post where my name is mentioned as well. 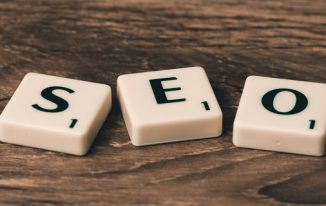 Lately, I have done two guest posts on SEO topics, and I made sure that they are of high quality because the high-quality content is what Google loves, and if you get links from the content that Google loves, you must be benefitted. Have you ever thought to get a dofollow link from one of Google’s product? 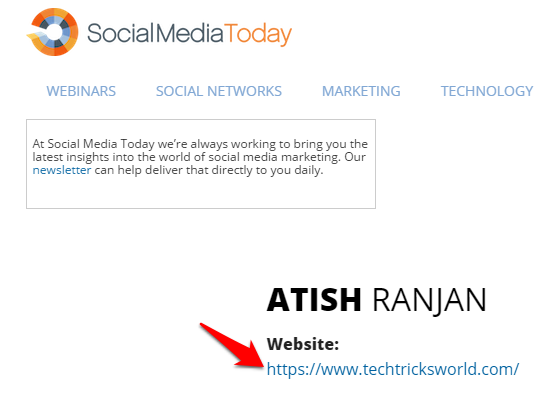 With Google+ you can easily get one dofollow link from it. Go to your profile, edit and in the Intro section, write about yourself, and add your site’s link there. Just look at the above screenshot, you can see the link marked green by MOZ extension, which means the link is dofollow. So go on and add your link in the profile section to get a high-quality backlink to your site. 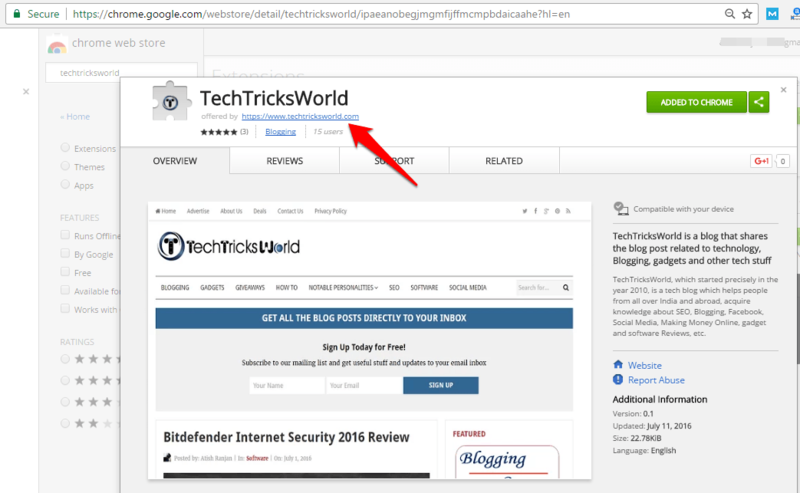 Bonus => You can also get a link to your site from Google’s other product, Google WebStore by either creating a Chrome Extension or App. You can try this too. To publish a chrome extension, you just need to spend $5 as registration fee while registering on Google Webstore. How to Build and Publish a Chrome Extension for Your Blog? You all know already that visual content performs better than textual content. Thus, bloggers love to add them to their blog to increase traffic, lowering the bounce rates, and increasing the Avg. Time spent on their blog. 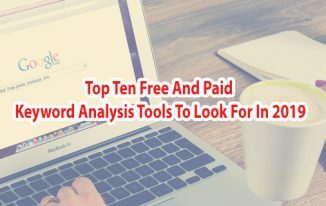 So what you can do is to either create a beautiful infographic using free tools like Piktochart or get one designed from any professional designer and then host it on some infographic sharing sites like Visual.ly. Now, reach out to bloggers, and let them know about the infographic. You may ask them to use it on their blog along with a credit link to your site, or you can offer them a guest post in which you will write a good description for the infographic, and publish on their blog. You will notice that most of the bloggers will accept your offer because they love to use the visual content on their blog. Make sure that your Infographic must be unique and designed professionally. Broken link building is a time-consuming task, but it can be very effective. You need to find out broken links on the blogs or sites in your niche, and then reach out to owner to let them know that they are having broken links on their site, and also suggest them to either replace them with some good working links. Now, what you need to do is to suggest one of your blog posts or site’s content as reference. So, that they will just replace that broken link with your link. In most cases, you will notice positive results because who would like to keep broken links on their site? The red link is the broken one, and green ones are the working. So, you may make use of this Chrome extension to quickly find out the broken links on any web page. Blogger outreach is a tough job because most of the times, you don’t get replies to your emails. In this strategy, you need to find out the blogs in your niche and ask the bloggers to mention one of your blog posts that are relevant to their content. Unless you are an authority, it’s tough to get replies to your emails but if you have the killer content, you may expect some positive replies. I would recommend using this strategy only if you have awesome content. If you have some good presence online, you may be asked by many bloggers to participate in their round ups. You must take part in them because this might help you get backlinks as well as more personal branding. Recently, I have shared my views on the topic: Content Amplification technique for Amplifyblog.com, there I have got a link back to my blog as well. Though I have taken part in many roundups, few give Nofollow, few dofollow which is fine. But don’t ever miss the opportunity to participate in such round-ups. Just to show you how many links you can get from different blogs, do check my Featured-on page where I have listed all the roundups, interviews, and lists. Since the beginning of my blogging career, I have been helping the needy ones. I helped them just because I love helping everyone. And what I noticed in recent years that helping others earned me a lot of natural links to my blog. I won’t suggest helping just because of getting links but do it to feel good, and after all, it is a noble job. You might get links from many. Every SEO person knows the value of backlinks from Edu and Gov sites. It’s tough to get links from such sites, but if you have some great content, then you can reach out to relevant Edu sites to let them know about your content. If they like, they may add your link there. Apart from this, you can search Edu, Gov sites on Google, and then find out the way to get link opportunities such as via comments or outreach. There are many websites that when you join, gives you the option to fill your profile. In many of them, you may find website field where you can input your site’s link, and get a free backlink from an authority site. Even in a few sites, you will get space to write about yourself where you can include a backlink to your site as well. These type of profile links can be strong and do boost your site’s SEO. However, it is not very easy to find out such high authority profile links opportunities. Interlinking can be a great way to build backlinks to your new pages or blog posts. Yes, if you have a website or blog, you might have so many pages, and possibly many of those pages are old and have some backlinks pointing to them which add value to the page. So, whenever you publish a new content on your site, you can go find out similar subjects or anchor texts on your site, and add links to the new content in them. I have been doing this, and I would say that in many cases just adding 3-4 internal links from old blog posts, my new posts’ ranking improved. I would recommend doing interlinking manually and refrain using some plugins because they may not select the right anchor texts for links every time. That may ruin the link structure throughout the site. Backlinks are very important factors for search rankings. So you must not ignore it. Above-mentioned are the few good link building strategies that still work well. While building links, you must avoid link building mistakes because one mistake can put your site in danger as Google is very strict when it comes to links. Share your views and ideas about the link building. How you build links for your site? Knowing things is different thing, and make use of them is different. So rather than just learning, do some implementation as well because at the end what works is the “Result” which only comes if we implement our learning. Glad you liked the post. Thanks for coming by. I guess directory submission are not worth as they are before but some good directories are sill giving more valuable as like dmoz and yahoo.You can add one more point like sponsor links which they are worth. Directories have lost their value, but still few good ones are there. Yahoo directory was shut down in December 2014, though it redirects to yahoo business listing now. What do you mean by sponsor link? can you describe a bit please. I didn’t get you exactly. In the early days of my blogging, I added my site to a lot of directory sites. I suppose I still have a presence on them. You don’t think this could be harmful to my blog do you? It used to be much more common to be involved in round up posts but that seems more confined to personal blogs these days. Are the any advantages to writing this type of curated post yourself? I can see that it’s a good way to show appreciation by adding links to good content but what about for SEO purposes? I find that being a part of small, friendly blogging communities helps a lot. Your posts are shared and you get more engagement on your social media pages. Welcome to my blog. Thank you so much for reading and sharing your views. First of all, if you have submitted in spam directories, then yes those links may harm your blog anytime. If you haven’t faced any bad till now then you are lucky. However, if you want those links to exclude from your blog’s link profile, then you can use Google’s Link Disavow tool to do it. Round-up posts are not done basically for SEO, rather bloggers do this to engage more people on their blog which is a great way, but when they link out to the participant’s blogs, then that counts in their blog’s link profile as well, and that helps in SEO. The more natural the link is more trust your blog gain in Google. More trust means better ranking. Thank you so much for coming by Sue. Keep visiting to my blog. Thank you! Great list of ideas thanks. I just love the “Broken Link Building” technique – I had to read it twice, because it’s so clever. I also like the idea of getting a dofollow back-link from Google itself LOL! It’s a never-ending job, getting back-links, but with tips like this we can make progress. Yes, its a never-ending job, and we need to building and earn links as the content development is going on. We need a good balance of the amount of content and the number of quality backlinks. Thanks for coming by Joy. Yes, we have to be patient while building links. thanks for reading my post, Mas. What a great post on link building strategies. I am just learning about them from your post. Tips make it so much easier to understand. Having to do all the research takes so much time and here you have it set up for us to use. I need to practice what you have taught us here. Thank you for the awesome post, Atish. You have a wonderful day and weekend ahead! Thanks for reading my post, I am glad that you are learning from my posts. Keep learning and implementing. sir your post are always amazing that teach something every time whenever i read any post here. Thanx for providing these strategies. Thanks for reading the post Rahul. Hello Luis, glad to know that you are going to work hard. Hard work always pays. Awesome detailed tutorial on how to create a successful link building strategy for my blog. I am pretty impressed by the broken link building technique and though it is time-consuming I will definitely try it out in future! Thanks for reading my blog post. Almost all kind of link building is nowadays tough and time consuming, but they are done right, the time spent is worth. High quality content does help in getting more links, as other bloggers constantly look for quality resources to link to. If our article stands out in quality, it surely gets more opportunity to be linked and mentioned. Am a big fan of directories, before 2007 they were my favorite link building platforms. Quality directories still work and sites like Dmoz, yahoo directory etc. are surely worth the submission. Guest blogging is yet another link building method that still works as long as you choose your target sites well – and make sure your content is really good. Thank you for reading my post, and sharing your views. Yes, quality directories are still alive and working. Content is the real king, if you have something valuable, people must link to you. Guest blogging is good too but after Matt Cutt’s declaration, gone are the days when you submit only 300 words post and stuff links there. Now you need to first add more value, then get links for your blog. Good to know that Guestcrew’s round up got so much of shares and backlinks. Would you mind sharing the link of that round up, I would like to check that out too. Just going through your blog and found another great stuff from you, Atish. Although there are so many link building strategies out there, only a few of them work like a charm. For example, most people don’t know how to use guest posting. They only use it for link building. If you’re using it for relationship building, links will come automatically. That’s the secret! The same thing goes with blogger outreach. Don’t use it for spamming other people’s emails (and beg for links).. this is the thing most beginners do. Instead, focus on linking out to other bloggers first, then ask for the help! Agree with your thoughts. Link building is refined as link earning which you can get by building relationships and most important by creating awesome content which everyone wants to link to. I am pleased to read your article. Can you tell me whether I should Submit my blog to different directories at a time ?? I’m new to blogging!! You can do it but do choose the quality directories only, and do in bulk. Google page do follow link ? I never knew that ,but doesn’t it consider as spamming by changing anchor text every time ? If your anchor text is same everywhere then it is spamming. If you are using different anchor text, it’s good! Extraordinary rundown of thoughts much appreciated. I simply adore the “Broken Link Building” strategy – I needed to peruse it twice, in light of the fact that it’s so smart. I additionally like the thought of recovering a dofollow join from Google itself LOL! It’s an endless occupation, getting back-connections, however with tips like this we can gain ground. as you Mention Directories to Build Links but Directories links have very less impact on Search Engines and doing so Much can Cause Penalty From Google So i think Creating Backlinks from Directories is Not Much Helpful their is lot,s of Risk. It’s better if you don’t build links from the directories. Though Local Listing will be greatly helpful. First of all thanks for the Reply and as you mention guest posting links are Considerd as unnatural Links but i think you have not read the latest matt Cutts tweet in that Tweet matt cutts Says Guest Posting links from now will again Consider Powerful Natural Links. Enjoy Guest Posing Again . If your guest post is of real value, getting links won’t have any problem I think. It’s problematic when you just post an article to get links. If your content possesses the quality. I don’t think you will get any issues. Thanks for the information mate. Nice describing link building strategies… its important for seo… thanks for sharing this post…..
one more question how to increase traffic on site…plz rply.. If you are able to build some quality links and have good on page SEO then naturally your organic traffic will increase. 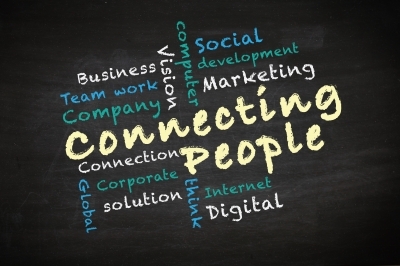 Apart from it, use social media and blog communities to increase referral traffic. Thanks for coming by Nikita. Link building is a tedious task but well worth the time. Although, I know many people out there do it primarily for the SEO ranking and not so much for the information. In that sense, yes it is wrong to do. I generally like to search the web for great articles like this one and don’t have an issue with it whether it is Follow or No follow. I prefer just to read and leave comments if i feel its appropriate. Thanks again for this great article. I must say this is well written article. Thanks Atish for such a informative article on off page SEO. The last term about .edu and .gov is really an awesome technique to get high PR backlinks. I must say that the article is well thought of and was based on successful link building campaigns. Learned a lot from this. Have a great weak ahead. Thanks for the comment. Keep visiting for more such posts. Many Top seller at Fiverr & other’s marketplace selling various kind of traffic for site to get ranked & boost SEO performance. They’re mentioned that all the traffic are real but sales is not guaranteed..
they provide different types of traffic monthly but I’m confused how much effective those traffic for site? After 1 month my traffic will getting down or normal? No matter how much traffic you get, if you don’t get sales then those traffic is waste. I would advise you to spend $5 to test the effect of those traffic and see what happens. In my opinion, they might be using some software to send hits onto your website, so I am sure you may not get sales from those hits. Great write up, I am trying to take backlink from edu and gov sites and you have given great suggestion to find high quality blog. I become regular reader of your blog. Thanks for sharing your experience with us. I always search for such as posts to get more ideas about link building. You’ve written fine that will obviously help to the SEO beginners. I need more posts about the effective link building strategy to learn. Please carry on and share your all experiences with us. Thanks again. Glad you liked it, Jamshedul. I have not used any directory like somuch.com before. I have noted this down. Let me try those. Meanwhile i would recommend you to write an article about such useful resources available. It could help many bloggers like me. Thanks. i hv been in seo fiels for 3 yrs but unforunatly i had stopped t=working, i just started it again so keen to learn some off page seo before dstarting my work as a freelancer. One question that comes to my mind is….edu and gov backlink worth now..thanks in advance bro. Learning from expert is always helpful and i like the idea of Link Buliding. Thanks for sharing this great post. Your blog provide such a helpful information to promote off-page SEO. i have a question how Broken Link Building is useful for website? Broken link building means you find a page on which you find a few outbound links are going to not found pages. So, you can create a content related to that link, and try contacting that site owner to replace that old broken links with your post link. So, if your link gets added there, you get a good backlink. right? That’s what link building is all about. Keep trying to get such links and your site’s ranking will be better. I am happy to be a part of that roundup. Keep up the good work. You Share Awesome Knowledge With Us. Really Very Impressive and Useful Article I love It. I Love Also Blog Commenting Link Building strategy, It is Very Safe and Natural Way. What Your Opinion About Commenting and Google Also Note Our Social Present So I Hope Commenting on Relevant Topic it is Best Way for Link Building. Your article provide nice information about link building! But I have a website and i am done most of the link building strategies on it but result is Zero. my website keyword always show in google’s Search instead result example when i am searching iHaveAnswer keyword google always show result like this ( Search instead for iHaveAnswer ). I have no idea why , if have any idea about it please tell me. How old you site is, Sandeep? 2 Years is enough time. If you don’t mind sharing, then can you tell me how much traffic from search you are getting currently. (1) How Broken Link Building is good for any website? (2) All are said link exchange between same category website, so how edu and .gov link building good for as? 1. Did you read properly what I wrote in the broken link building? Broken link building means you contact site owners who have pages on which they have some resource links that are not found. So, you can create such resource on your site, and ask owners to replace with your link. I am sure, they will happy to replace because they might be happy that you take their notice to the broken links. 2. Even .edu or .gov links are good if they are somehow relevant. Getting tons of edu or gov links from sites where comments are auto-approved is not gonna help you anyway. If you can get the links from related niche edu or gov sites, and get links, its great! Direcotries are simply not working unless that has quality as I mentioned in the post. These are some awesome tricks to build quality backlinks to your blog. Yes, it is difficult to get a link back from a high performing website, but one should always be on the lookout. As I was reading through this, I submitted my site to dmoz. I have to do others still, but thanks for reminding. Link building is not easy when you think of getting natural high-quality links. You have to keep looking out for every link opportunity. That is some vintage link building techniques mention. And I would certainly advise anybody who ask me about link building to refer to this post. Thanks for Sharing such a great stuff. However, my query is what’s timing of link building: should I go for LB after a few tens of articles, or a piece by piece basis? Either ways you can go ahead. Just make sure you maintain the link velocity. If you have a new blog, I would say first publish 10-15 posts, and then start building links if you want to run that blog as a regular blog. Nice post. I am looking for more ways on building links particularly that are not very black hat types. Infographics is a good way to go. Nice information it is useful for those who want to do better SEO. Thanks for the sharing, keep it active. Thanks for your comment, Anuradha. Thanks for this informative post. Off Page SEO really plays an important role to increase the ranking of a site. Backlinks is really very important and getting quality backlinks is one of the major concern among newbie bloggers. This post will surely help them out. Great Work. Vishwajeet Kumar recently posted…7 ways to get your content notice in 2017. Search Engine Optimization field is booming day to day with new inventions and innovations. A major Off-page SEO technique is social media engagement. Today, If you want to make your business, website or blog popular, engage with people on multiple social media platforms. Social media presence will help grow your business and also help you get more back links. Now-a-days, Infographics are in high trend and they are getting popular on the internet, so we can definitely take its advantage to drive more and more traffic to our website. Eventually, thanks for sharing your experience with us. 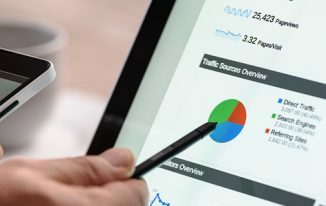 By reading this blog, One can come to learn how important off-page seo is to build links to get the traffic to website. I got a point to know that Google+ Do follow link will be more valuable, and i searched google to get the lists for all submission sites ,here i got a list of sites for each submissions and It reduced time to make search for each sites for each submissions. Glad to see I’m already utilizing several, and just as glad to see a few more approaches to take further advantage of! Great, that you are already using several ones, Saurabh. Nice collection of link building tips. I do agree that link building has lost some lustre, but is still really, really important to do. I think the blog commenting and roundups are wonderful for this, as you indicate. Also, very nice .edu ideas. Those are so difficult to locate and convert into links, and this is really helpful info for doing just that. Glad you liked these Link Building Tactics. Thanks for coming by. Thank you for your sharing. There are many tactics for me to apply on building backlinks for my sites. I bookmarked this page for reference. Thanks for sharing with us a greatest link building strategies really which can help to enhance our growth rate. hey, thanks for posting the articles i am an seo but i dont know fully of seo i am working on my site now but i am not getting high backlinks can you tell me how to do get the high pr backlinks?? High PR? are you kidding me? PR is dead a long ago! Anyway, to get authority links you can have some brand visibility to get the naturally. But, if it is not possible, you can try creating author accounts on authoritative websites which allow guest contribution, and from there you can get some high quality backlinks. Nice post.. Can you advice me hoe to improve sales for eCommerce website through seo? Rakesh, When it comes increasing sales using SEO, you must rank for the popular search terms related to those products which you have on your store. Good keyword research, and extensive link building. I am sure it would help. Good method in my opinion is search for niche forums and solve the problems of your potential clients. You should becoming a specialist there by regularly providing feedback and help. Do not concentrate only on acquiring links to further generate traffic on your website, because being a specialist in a forum is also an excellent way to build brand recognition. Tris recently posted…How to get the best backlinks? Everything that you should know. Nice post with a good information, my website is coming in 3rd page. What can i do more to get better search results?? To give you a good answer, I should know what you have done already to get it to3rd page.. then I can suggest what else you can do to improve the ranking more. Article submissions in auto approved article directories are not effective. In fact, they may put your site at risk. Guest blogging is good but don’t use rich anchors. In this post, I have mentioned many ways to build links. You can try them out. Nice roundup, enjoyed very much. I found the chrome app link quite interesting, would have never thought of that. I have a question. When I move with a webseite to an another Domain with a redirect from the old Adress. have I got to set new Backlinks? If the redirect status is 301, you will get the link value of your old domain. You should be aware if you are doing anything and still nothing good happening, then there might be some Google update hit you in the past. If that is not the case, you might be doing something wrong. Above all off page tactics, you must write the best content which is the base of the SEO. Backlinks are the most important and necessary part of SEO, and without it, we can not rank high competitive keywords. I learned few new things from this post. Thanks a bunch for this wonderful article. Great post and you are providing a good information. Is directory submission is good for link building? actually i read directory submission is not good for website and google may penalize our sites. Is it true? Basically, yes. Directory submission doesn’t fit into the modern SEO well but if the directories are quite good and manually moderated, you may do a few submissions. Otherwise, Stay away. Hi this article is very nice. But I think the link building can work only if it is organic i.e. effortless links. Because google knows all about how people creates backlinks. There is no guarantee of getting on top pages, Kaleem. Just start working, and keep tracking. This is an awesome article. In today’s competitive SEO it’s very difficult to generate backlinks & rank higher. But after reading your article i am damn sure that i can achieve my goals very easily. Getting good backlinks is not bad. In fact its good but first of all you need to have enough content on your site. Also, automated backlinks are spam. Try building links manually using authentic techniques like guest blogging, etc. Everything was just fine instead of few things, I didn’t understand by roundups. Please explain what are roundups? Out of the whole article, the one thing that I like the most was this line. Somewhere this is the key to success, you help other people out and you’ll see the reward you get in return. Please, can you make sure the profile links gives us do-follow links or no-follow? A roundup is a kind of blog post in which multiple people(experts) share their opinion on one topic. And, when they do, they get a link back from that site where the roundup is published. About profile links, there are many site offers dofollow profile links, and many offers nofollow only. Google has update many animal to detect unnatural and spam backlinks hence link building isn’t seems to be easy now a day. I do agree what you said, we need to build quality backlink that give us more weight. I got 2 dofollow links from Alexa, but never hear about getting backlink from Google store. You know, bro? That’s very impressed. Oh. I really want to ask you a long. Do directory submission and social bookmarking still worth for SEO? I am fine! How are you doing? Any kinda site that are not spam, do help if you get links from there naturally. About Bookmarking, I see most of them offer nofollow so no benefits. Hi Atish, I really enjoy this post. I have a blog that is lacking good backlinks. But now I can start doing something about it. Hello Atish Ranjan! How are you doing today? I am great today. How are you? There is no specific number you create links. Just maintain the link velocity. If you are creating 5 links a day, keep it consistent or increase to 6,7 after a few days. By blog posts, you should use proper yet changing anchor texts for each link you build from blog posts. Try to get links from the blog posts which are ranking well on Google, and getting a continuous flow of traffic. As we all know that Backlink plays an imperative role to rank any post in search engines. So, bloggers tried different methods in this scenario. You have shared some outstanding ways through which one can easily build links. I get links from blog commenting, video websites, article directories, forum posting and question answers website like Quora. Awesome elaborate tutorial on a way to produce a triple-crown link building strategy for my web log. I’m pretty affected by the broken link building technique and tho’ it’s long I will be able to undoubtedly attempt it get in future! This post provide me great information about off page SEO . suggest me Directory Submissions working for SEO in Present ? To be exact, links do work even if you get from a directory but most of the directories are spam that is why it is advised to stay away from them. But, if you get some good directories, you can surely get a few links from them, and that will work. Very well written post about Off-Page SEO. You have nicely explained all the resources which are handy in link building. I have tried all of these methods out of which Broken link building, Guest posting, and Roundup posts are my favorite. Thanks for reading the post, Mairaj. Glad you liked it. Well written article on link building strategies and I really the way of your writing. I’m new here but I have seen that there is a lot of new things to learn. I just started following you on Twitter. My favorite ways to link building are Forum Posting and Commenting on niche blogs. But if you have a golden piece of content or a great list post, you auto gets some high-quality backlinks from other sites. The content writing strategies always help you get the fast ranking boost in search results. Thank you for sharing an amazing post with us. There might be a possibility that those few backlinks are powerful once. Also, they chose the keywords that are low competitive but search volumes are more. Therefore, with a few good links they are able to rank and hence more traffic. You should analyse their site more in this area, and I am sure you will be able to figure out something. There might be a possibility that they have few but powerful links. Also, they must have selected the keywords that have low competition but high search volume. Thus, they are able to rank them fast. Just analyze their site more from this point of view, and I am sure you will be able to figure out something. first-rate certain educational on the way to create a success link constructing method for my weblog. I am quite inspired by the broken hyperlink constructing approach and although it is time-ingesting I’m able to clearly strive it out in destiny! one more question how to increase traffic on site…plz, rply. From which channel you want to increase traffic? Social Media or Search Engines? Really Great Article sir, You have told each and every opportunity to build links. I want to ask that directory submission and articles submission in article directories effective in 2018 or not? Hello Sandeep, They lost their essence because most of the directories and article directories were never properly moderated. In short, no they don’t have much value nowadays. You can try getting contextual links when you write a guest post for other blogs. The Wonder full valid Article it cover all the method of link building strategies. Its very useful information to know for off page SEO. And you explain the method as a step by step procedure. Thanks for sharing this kind of valuable information. Why are Some Social Networking Sites so Successful While Others are Not?